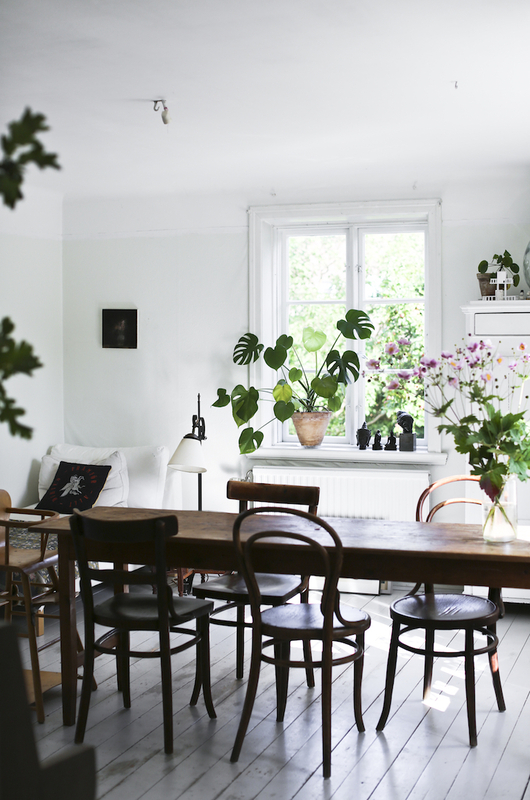 A few months ago I was invited to Villa Strömsfors for the night by Sandberg Wallpaper. 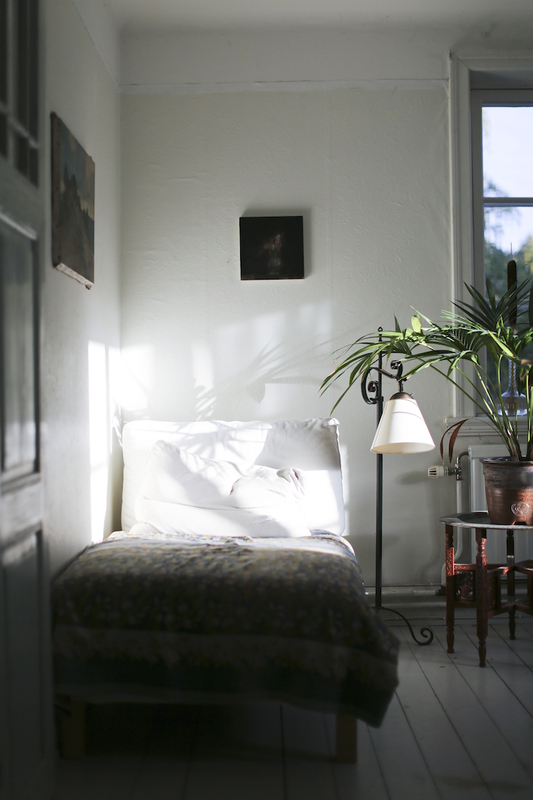 My allocated roommate was Swedish artist, photographer, author and journalist Ida Magntorn. 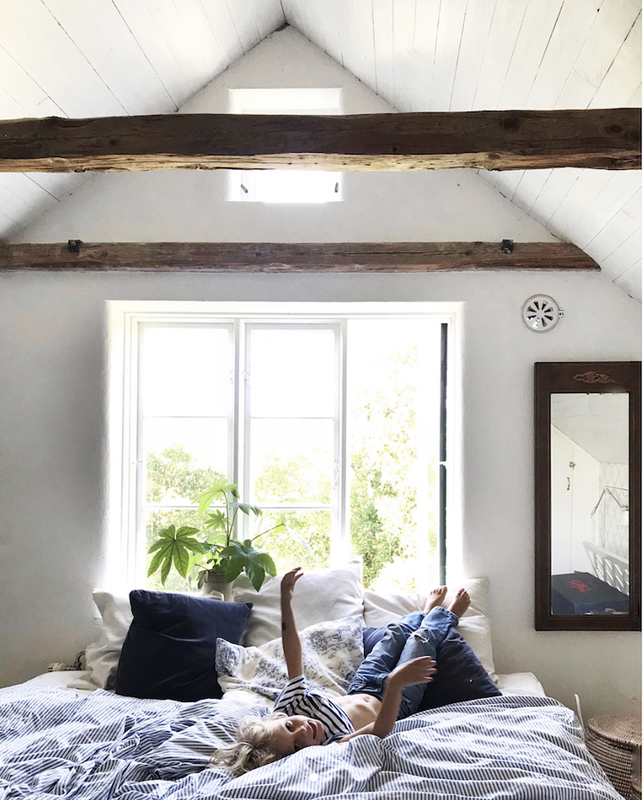 I loved chatting with her about her photography, books, interior and travel (including a sojourn in Paris) and we've kept in touch ever since. 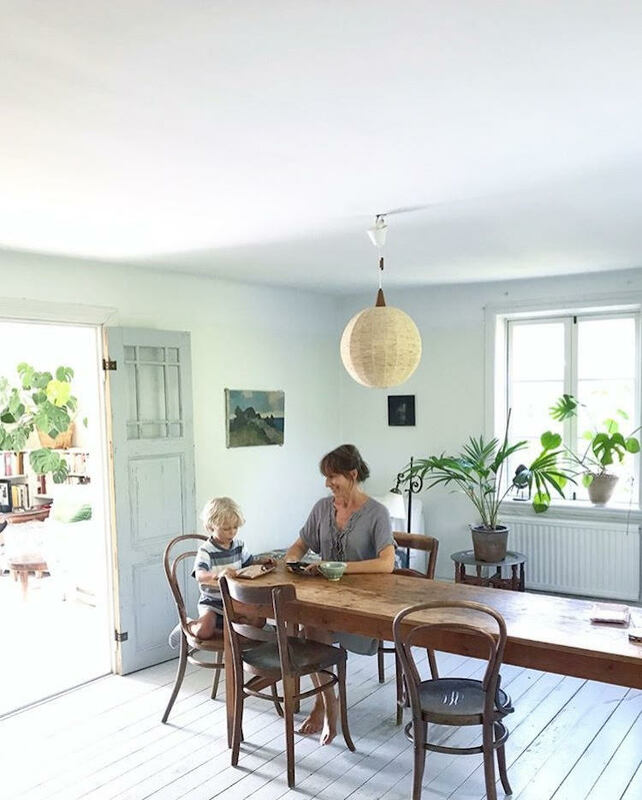 Needless to say, Ida's own house in Lund, Southern Sweden, which she shares with her husband Erik, five year old son Olle and two older children Mira and Måns (who regularly return home from their studies) is absolutely beautiful. Parts of the house date back to the late 19th century and the decor perfectly reflects Ida's love of sustainability and light. 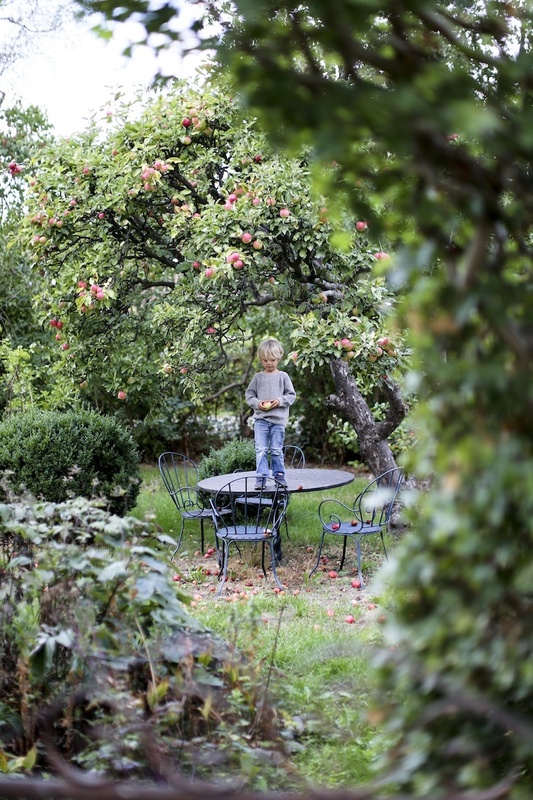 In the summer the family venture into the garden for meals under the boughs of an apple tree. Welcome to Ida's poetic world! 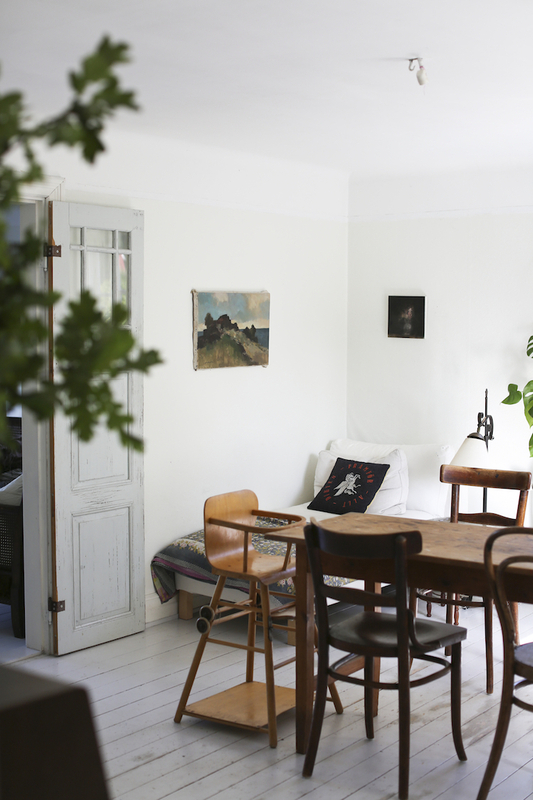 Ida describes her style as "lagom bohemian but with a clean, Nordic undercurrent". 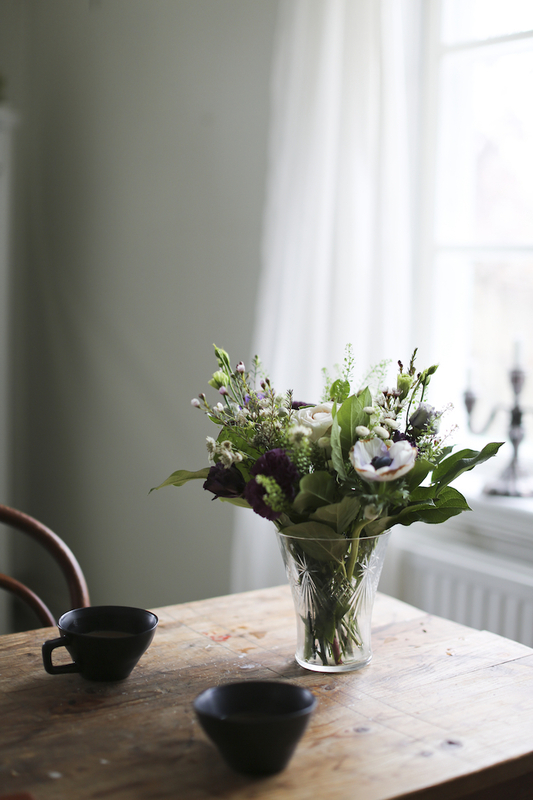 This is visible in every aspect of her home where vintage wooden pieces 'float' on a light wood floor and fresh flowers are never far away. Erik loves to play the piano. 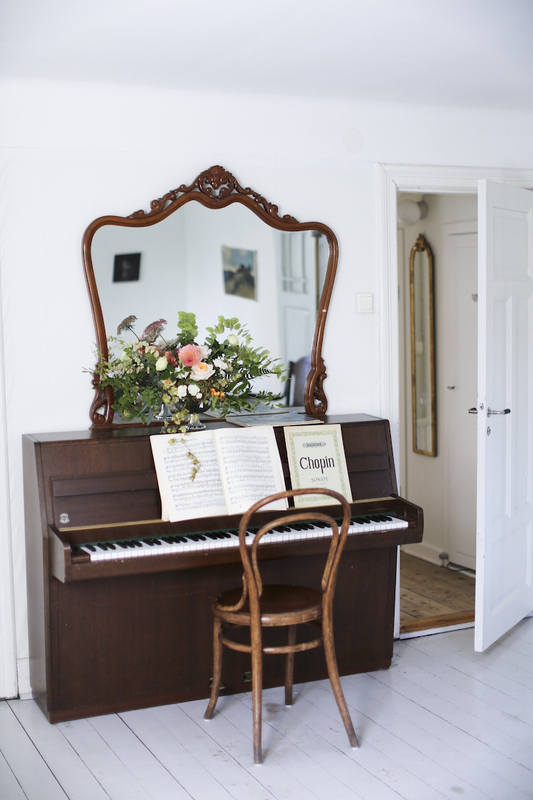 Chopin, Mozart, Schubert, Taube and Cornelis can often be heard flowing through the house. Ida is known for capturing the play of light in interiors resulting in poetic images reminiscent of 19th century Danish Artist Villhelm Hammershoi. Her photographs have appeared in numerous exhibitions around the world. 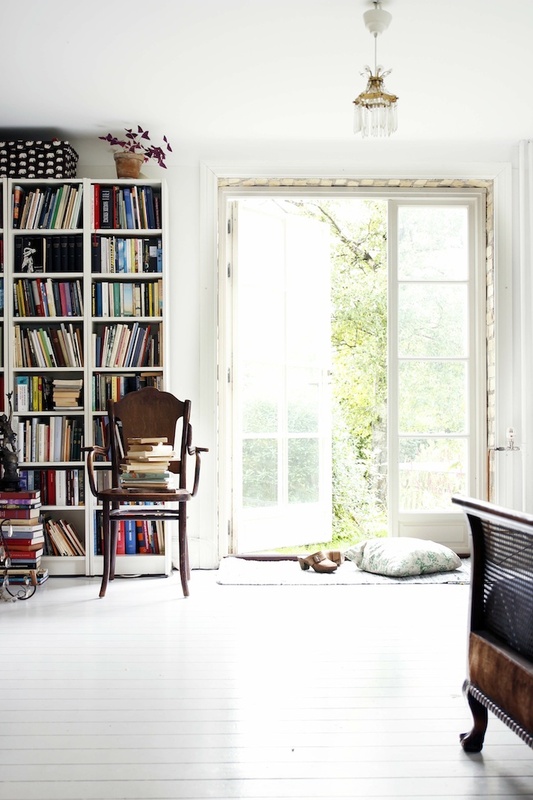 Ida has also written five books including Home Style by City, in which she profiles spaces in Los Angeles, New York, Paris, London and Copenhagen and Ett Hem med Omtanke - which has a strong focus on sustainability and environmental awareness. "I carried out a lot of research and there are a lot of facts in the book, but it's also filled with inspiration and beautiful pictures to inspire readers towards environmental thinking and to care about our planet." Ida's first passion was antiques. "I was interested in the stories behind the design of old pieces and furniture - who made them? What inspired them?" 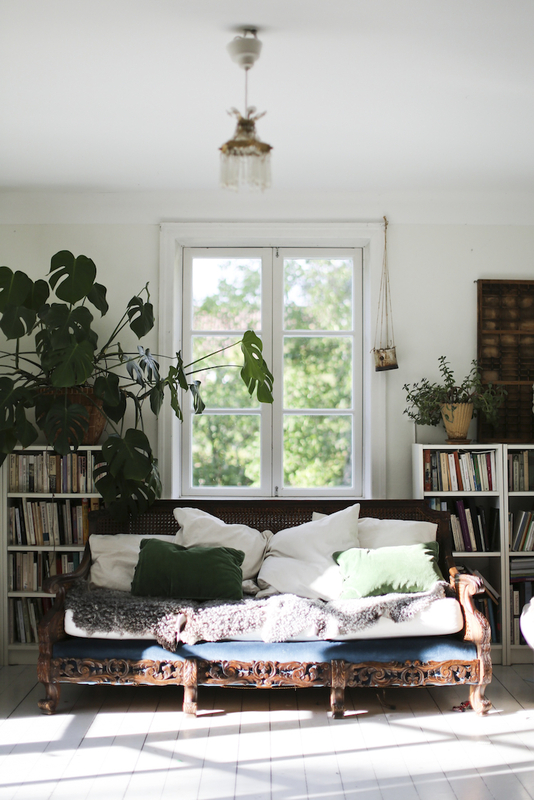 In her home, you'll be hard pressed to find new items, and this is what gives the space so much warmth and soul. Today, Ida works more and more as an artist, holding exhibitions all over the world, often with friend and sculptor Karin Wiberg - if you're curious about going to see her work in person, you can check out all the dates and locations here). What a truly lovely house. 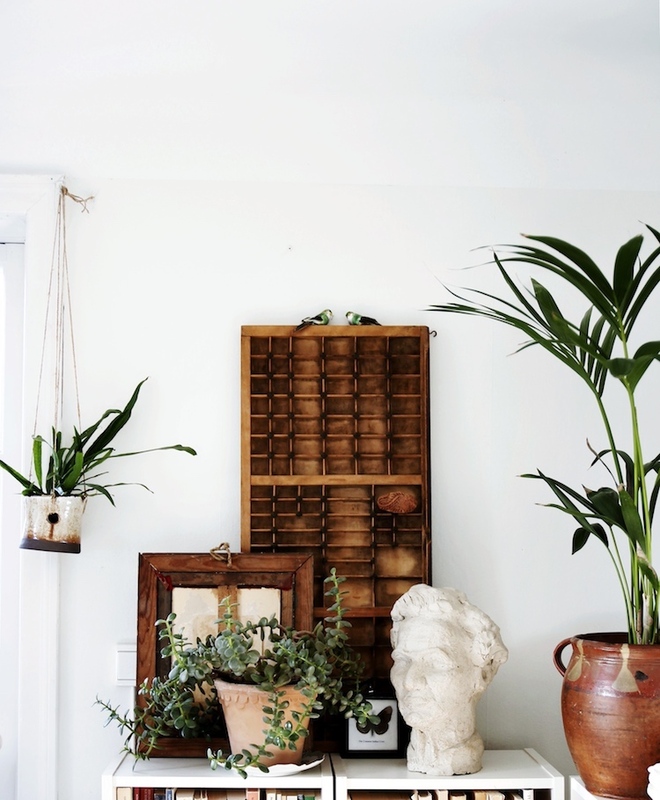 It just goes to show how much warmth antiques and vintage pieces can add to a space! You can keep up to date with Ida's latest projects here and follow along on Instagram here. I'm enjoying a few more hours at IMM Cologne before heading home today (more on IG stories!). I can't wait to see my husband and girls (FaceTime just isn't quite cutting the mustard! ), I miss them! Yay! I'm at peace looking at this home. <3 it. The two little either ceramic or metal birds are a cute touch. I hadn't spotted them until now, how cute! Happy you enjoyed this home tour too! finally! someone who isn't worried about showing their books, just as they are, and w/o needing to make them all one color, or turned inside out so that only the white pages show (how on earth did they ever find anything?!) or show them in some other impractical way, all for the sake of interior design. brava! I love seeing all the books too! Yay! What is that pale green paint colour?